Here, you’ll find the resources and tools I use and recommend for building and optimizing your business. I’ve battle-tested all of the resources here, and I actively use many of them. Regardless of what stage of your business you’re in, you’ll find tools to help you grow. Disclaimer: Many of the links below are affiliate links, which means that if you purchase these resources, I'll earn a small commission. This commission does not add any additional costs to you. If you have a Wordpress website and you’re serious about growing a business online or using your website as a powerful marketing tool for your offline business, I recommend WPEngine. ​WPEngine offers the best performance speed and reliability. And both of these factors are important for search ranking and the user experience. If you’re starting out and you’re on a shoestring budget, Bluehost works. However, if you talk to any savvy web developers, they will almost always recommend SiteGround over Bluehost. SiteGround is also a low-budget option, but it has better reliability and performance. If you’re a savvy marketer, blogger, or infopreneur looking to convert more customers and generate more sales, check out ConvertKit. 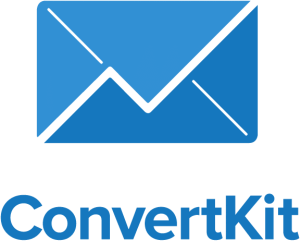 ​ConvertKit is superior at creating email automation and sequences for marketing to your list. If you’re starting out to grow your email list, Mailchimp is excellent—especially since they’re free for your first 2,000 subscribers. The easiest-to-use and most popular solution for creating attractive opt-in forms on your website is Optinmonster. Optinmonster was the pioneer in “exit intent” popups. They make A/B testing opt-ins and running experiments fast and easy. If you’re a little more hands-on and like using Wordpress-based plugins, I recommend Thrive Leads. 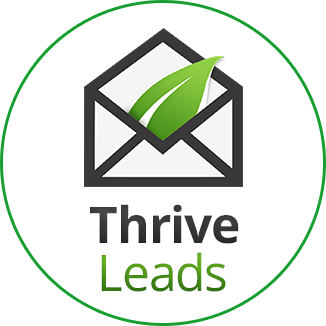 If you’re a little more hands-on and like using Wordpress-based plugins, I highly recommend Thrive Leads. Thrive Leads is built on the Thrive Architect platform, giving you incredible flexible with a full range of opt-in customization. Thrive Leads is just as versatile as Optinmonster but at a fraction fo the price. Chances are if you didn’t hear about my website from a friend, you got here through a Google search. And that wasn’t an accident or luck. I use over a half dozen different SEO tools to find keyword opportunities and improve my search ranking. My favorite took for keyword research is LongTail Pro. It’s designed to do one thing: help you find keyword opportunities. And it does its job better than the other 8 service I’ve used. Try their 7-day free trial. My second favorite tool that I use in conjunction with LongTail Pro is KW Finder. Finding keywords you can rank for is one part of the process; finding other opportunities to improve your ranking is the second. SEMRush offers a treasure chest of awesome resources for SEO research, competitive analysis and tracking to will help you find lots of new opportunities. You have two excellent options: Leadpages and Clickfunnels. Leadpages used to be the only game in town. They make it super easy to create attractive landing pages for your business. For many entrepreneurs, Leadpages is an excellent solution. However, if you’re selling information-based products or you want to create multi-page sequences (sales funnels), Clickfunnels is your best option. Clickfunnels is more versatile, and if you’re serious about growing your business, Clickfunnels makes it relatively easy to build powerful marketing funnels. However, if you’re looking for a Wordpress-based page builder, I recommend Thrive Architect. Although it doesn’t follow all of Wordpress’s standards (which means you can have plugin conflicts and other technical glitches), they have great support and the plugin offers a lot of flexibility for creating professional-looking pages without any programming skills. I use Thrive Architect on my website. If you’re selling digital products and already using Clickfunnels, you’ve got this covered. However, if you’re using another page builder like Leadpages or Thrive, the best option for a marketing-centric shopping cart is Samcart. If you’re selling physical products, Shopify is an excellent platform for growing your e-commerce business.